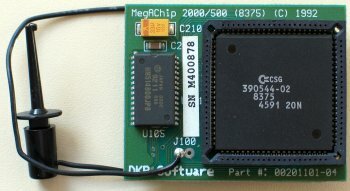 This expansion is designed for the A500, A2000 and CDTV and includes a newer Agnus (as found in the A3000) to allow them to address 2MB of CHIP RAM, although the card is installed with 1MB. 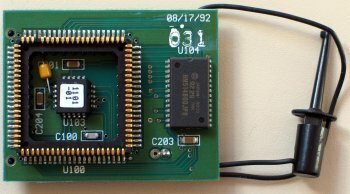 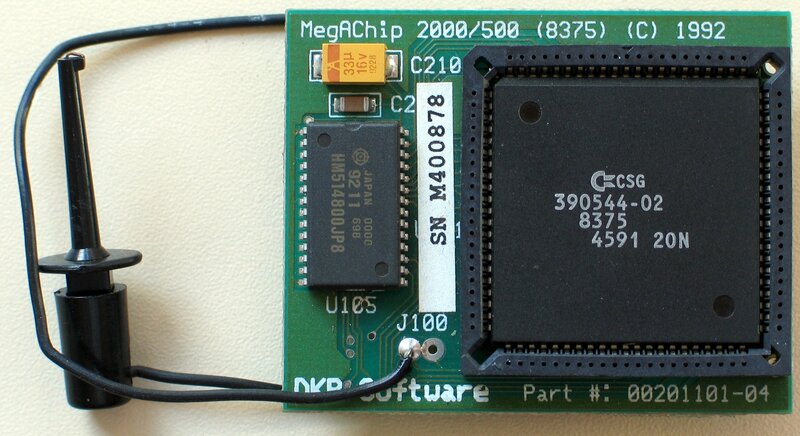 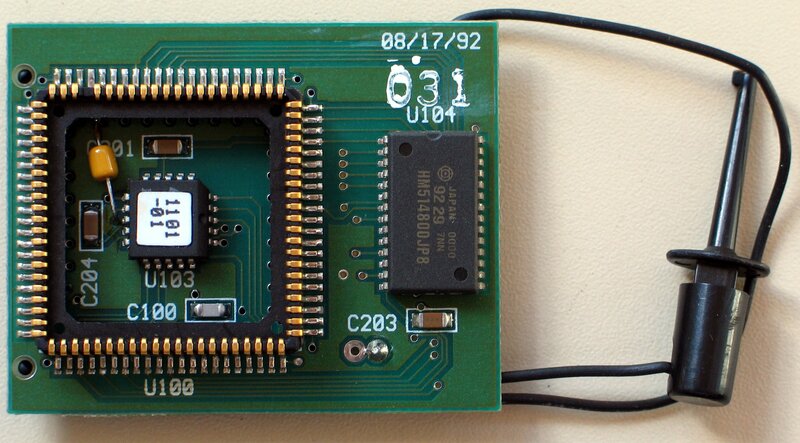 The megachip has a wire which needs connecting to either the 68000 CPU socket or pin 36 on the Gary Chip. 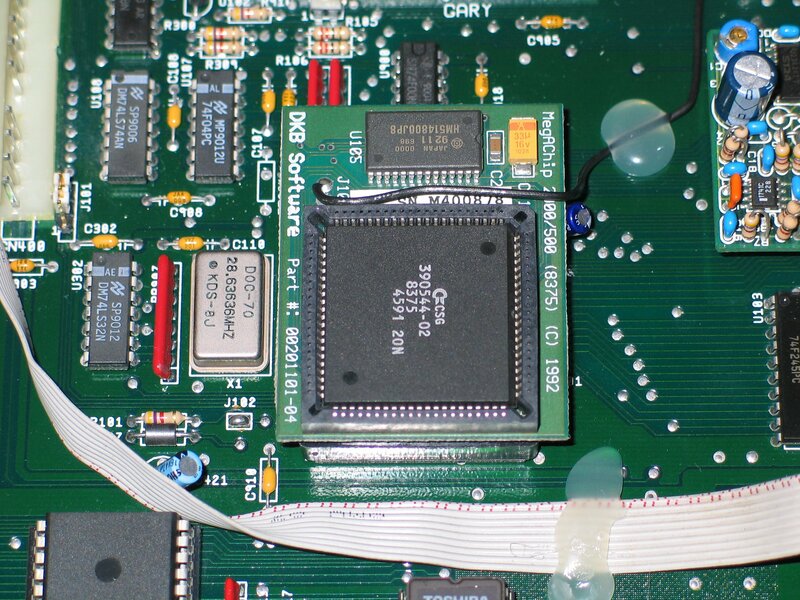 If you experience spurious lockups when the Megachip is installed, then you may need to attach the wire to pin 48 of the 68000 instead of the Gary chip Furthermore the Megachip may still function correctly in a damaged Agnus socket, even if the original Agnus doesn't because it has longer legs which make good contact with the socket. 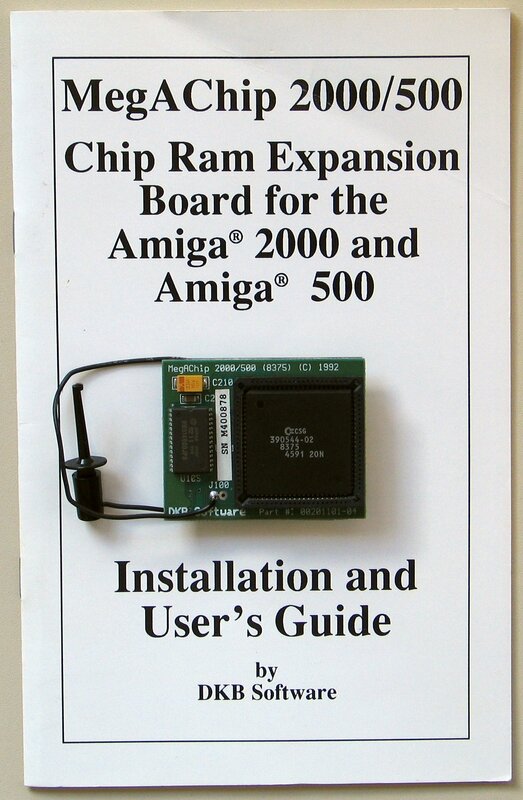 Page contributors: Francisco Rabay Jr, Joe Bunt, Mario Misic, Michael Czajka, Ron Mascaro.